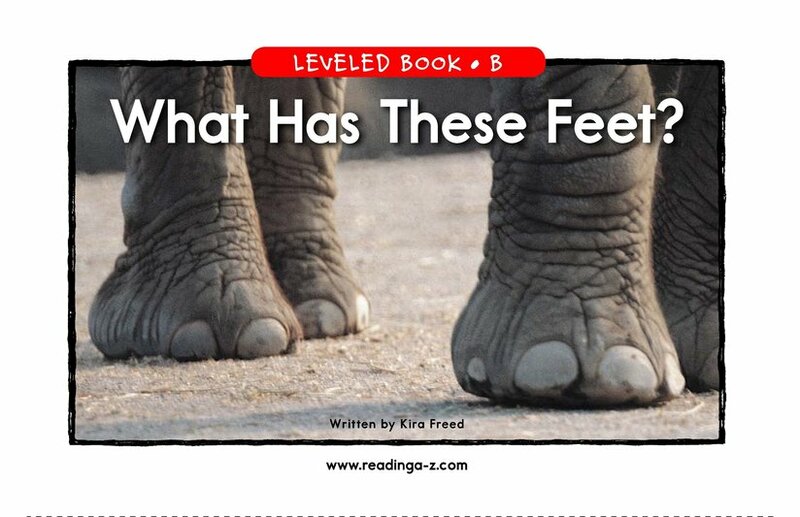 > Books > Leveled Books > Level B > What Has These Feet? 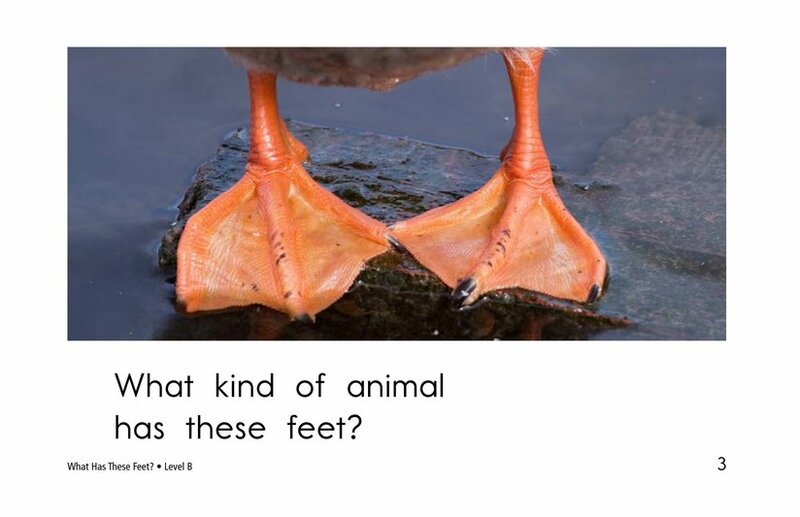 What Has These Feet? 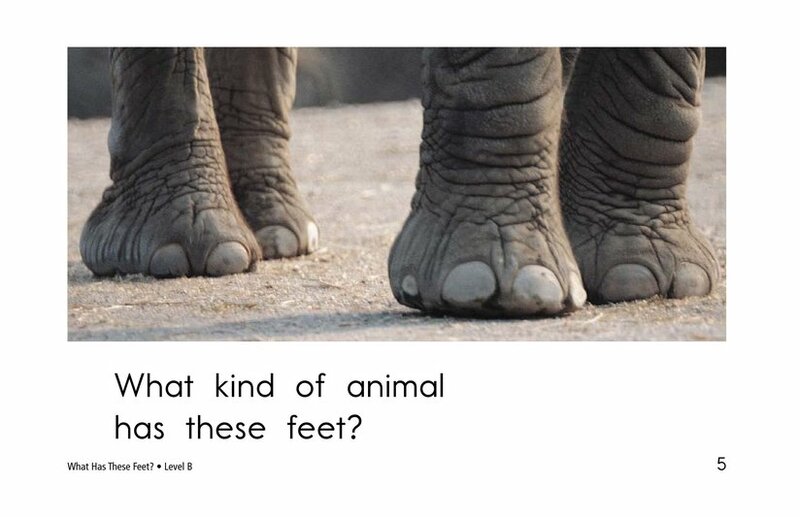 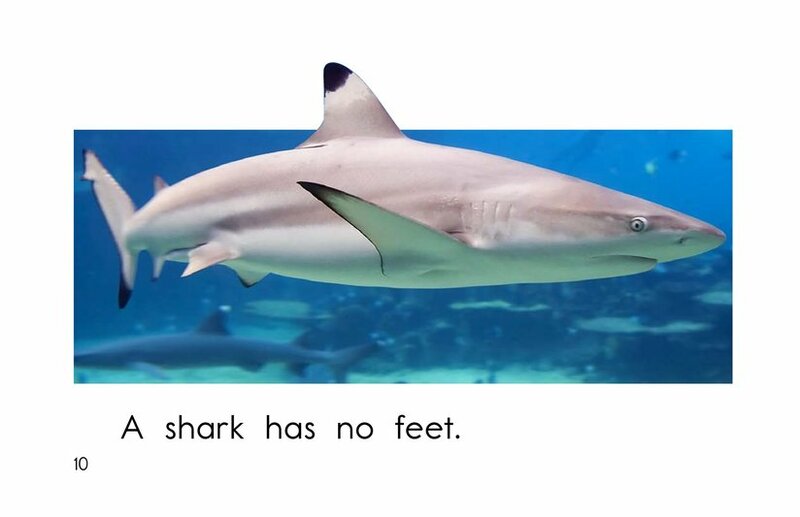 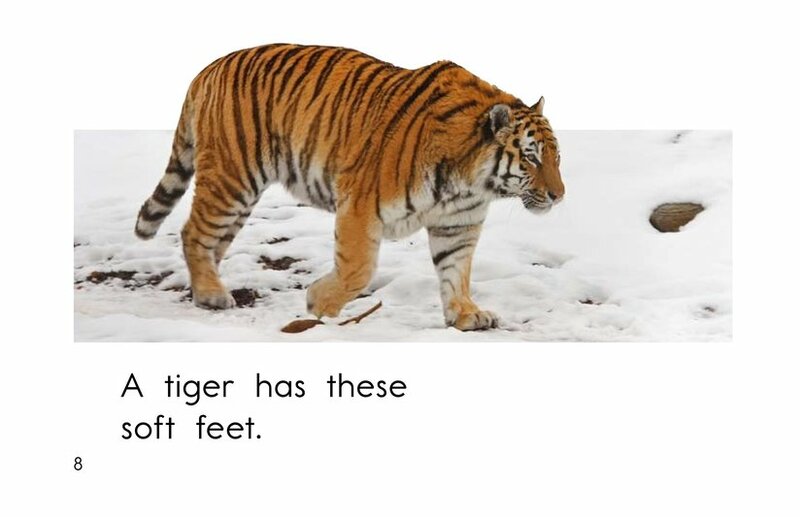 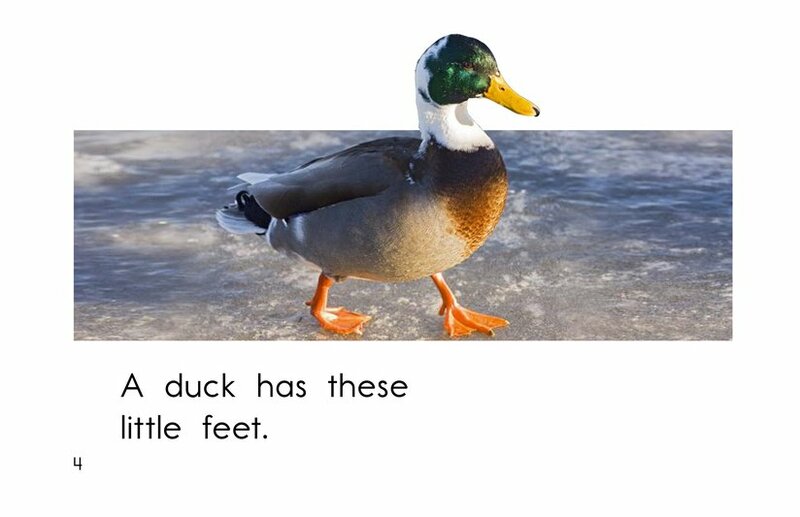 asks students to view photos of animal feet and guess what animal the feet belong to. 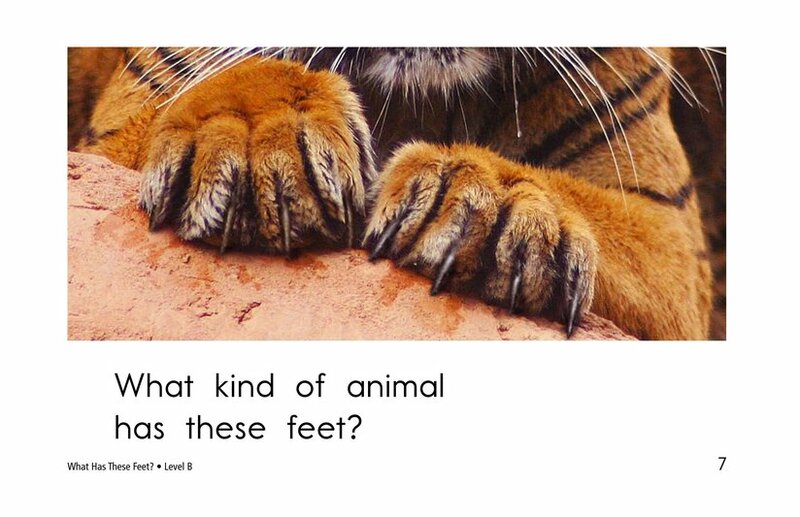 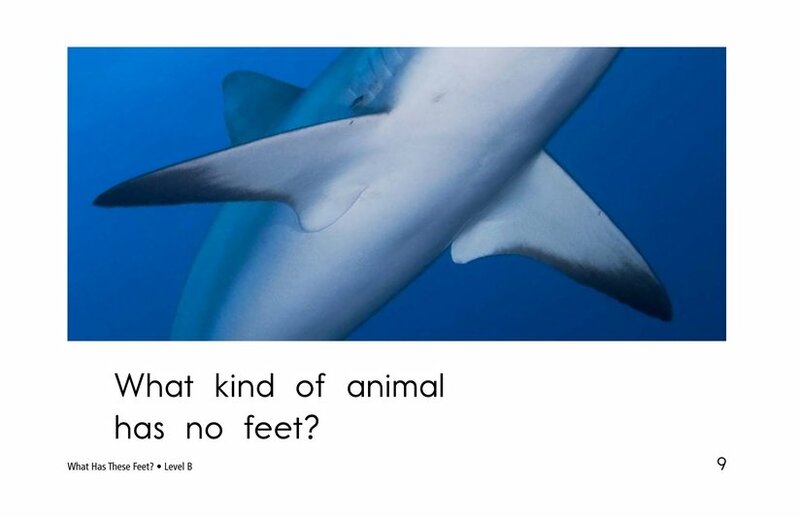 Students turn the pages to read the answers and view full photos of each animal. 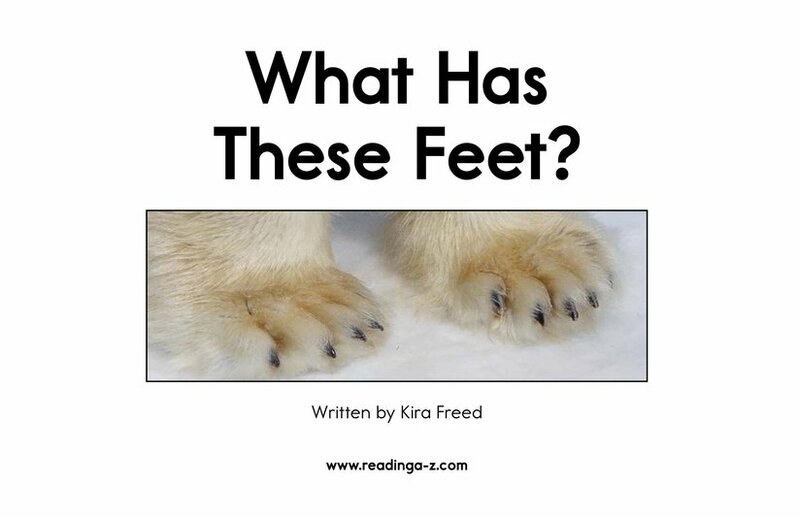 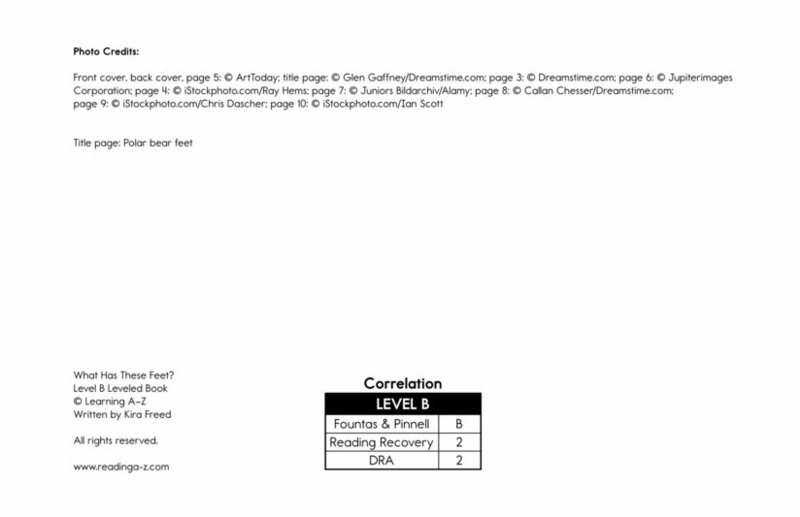 The book is written in a format that teaches phrasing and punctuation for questions and statements. 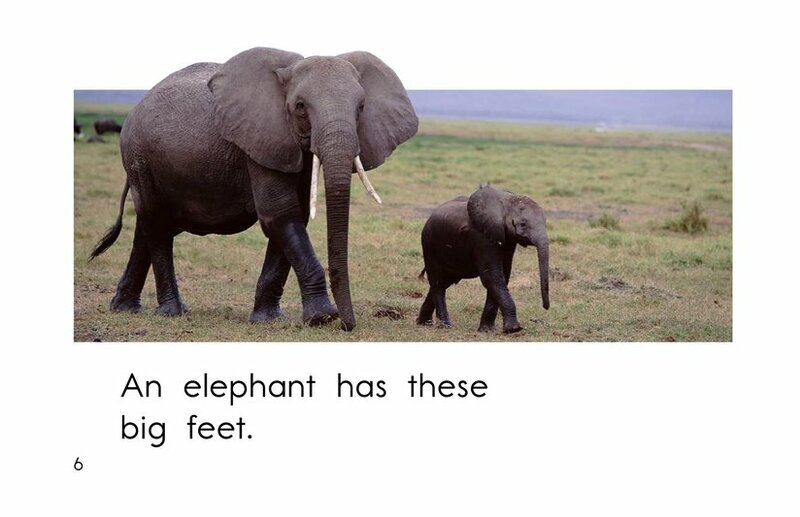 Engaging photos support the text.